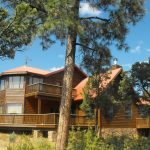 Spectacular Mountain Home on 5 Acres Backing Coconino National Forest with panoramic views that go on for miles and miles of Forest. Wait til you see the views from the Kitchen, you will fight to wash the dishes!!! Gorgeous floor to ceiling rock fireplace in the Greatroom and high vaulted ceilings and Oak Flooring. Master Bedroom on the main floor with jetted tub and separate shower and see through Fireplace. Second Bedroom downstairs as well. 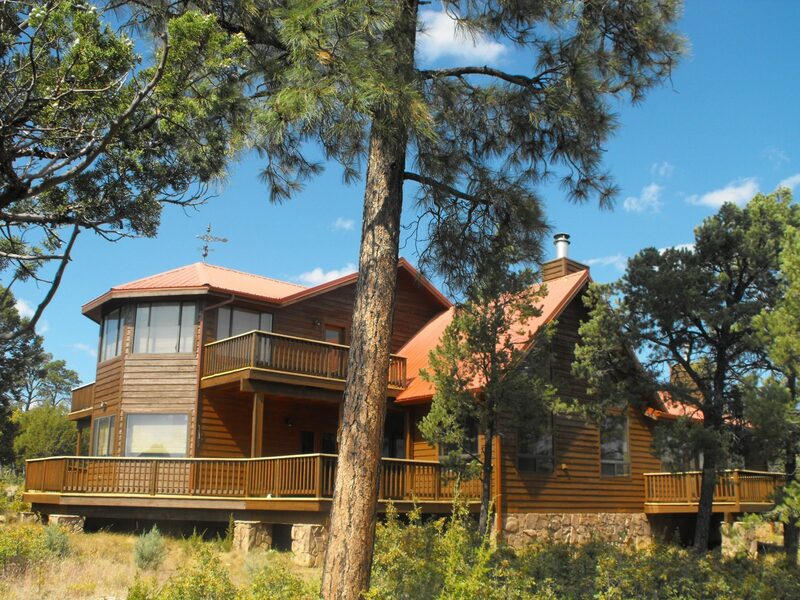 Then upstairs to the Family/Game Room with windows all around and decks that you have to experience to believe. Third Bedroom is upstairs with bath as well. 2 Car Garage attached. This home exterior will be refinished as soon as weather permits.